P1P Web Solutions - Web design, integration, and marketing. P1P Web Solutions - Web design, integration, and marketing. 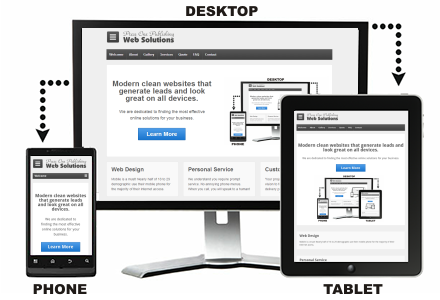 Modern, clean websites that generate leads and look great on all devices. We are dedicated to finding the most effective online solutions for your business. Mobile is a must! Nearly half of the 18 to 29 demographic use their mobile phone for the majority of their Internet access. We understand you require prompt service. No annoying phone menus. You will always work with a human! Your project is unique. We use your vision to find the right technology to delivery powerful results.